When the wiring gets too old to repair or you just want to do your FJ40 restoration right from the ground up, then the Painless wiring kit is your highest quality solution. This Painless Performance wiring kit is a complete kit and not a stripped down kit as offered by others. The Painless award winning reputation is behind each kit. Recently, at the SEMA Awards Banquet in Las Vegas, Painless was named the Performance Warehouse Association’s Manufacturer of the Year. This was quite an accomplishment when you consider the size of their industry (over 1,500 manufacturers attend SEMA) and the names of some of the past winners: names like Edelbrock, K&N, B&M, Hedman, Crane, Auto Meter and so many more prestigious companies. What makes those companies great is not just their products, it’s the commitment of their people. 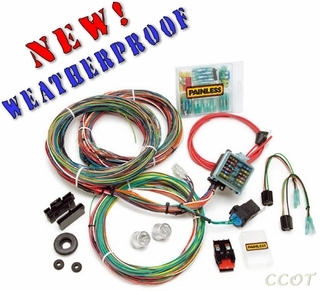 This is an ideal kit for V-8 motor conversions. The wiring harness is 24 feet in length. CCOT is an Authorized Painless Dealer. A wiring harness is only as good as its wire. That’s why Painless harnesses use only the highest quality wire available: thermal cross-linked (TXL) polyethylene wire rated to 275 degrees at 600 volts. TXL wire has twice the voltage rating of standard general purpose (GPT) wire. It delivers performance on demand in high performance applications. Plus, it will not kink and is abrasion resistant, making it much easier to route. 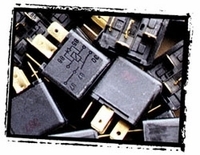 The nerve center of every Painless chassis harness is our OEM-style fuse block. These fuse blocks feature easy-to-find, modern blade-type fuses, clearly labeled circuits, corrosion resistant construction and a compact design. This is the most important feature of a Painless chassis harness. How well the wiring is connected to the fuse block, how secure and permanent the connection, determines how well the entire system will perform. Every Painless chassis harness comes out of the box with the wiring already terminated to the fuse block, not by hand but with state-of-the-art Packard presses. This assures you of a trouble-free performance that hand or screw connections cannot match. Plus, half the job is already done for you. Just mount the block and route the wires. Wiring can sometimes be an intimidating project, but not with a Painless harness. Open the box and the wire is already bundled in sections: front, rear, engine, etc. 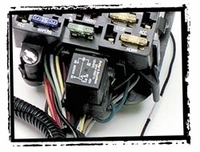 Simply mount the fuse block, start with one section of the Cruiser and route the wire. Each wire is printed with the application so you know right where it goes. 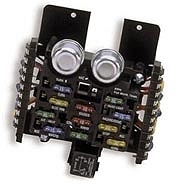 Every Painless chassis harness is protected with a 50 amp Maxi-Fuse. Unlike a fusible link, which melts in the event of an electrical short, a Maxi-Fuse is a large bladed fuse designed for circuit protection in high amperage, high performance applications. It is easily installed and easily replaced. You know you’ll be completing your installation with quality components because Painless gives you everything you need to do the job right: fuses, flashers, relay, tach leads, mounting brackets, terminal ends, even wire ties and grommets. Nothing but the best comes in a Painless harness kit. Even seasoned wiring pros have a question now and then and, if the answer is not in the comprehensive, step-by-step instruction manual that comes in each kit, it’s nice to know that you’re just a toll free call away from the most professional technical assistance help line in the industry. 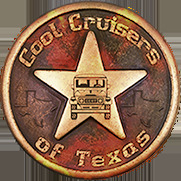 Leading, cutting edge car builders like Posies, Trepanier, Coddington, Dagel, Clark and more don’t cut corners when designing and building their award-winning creations. 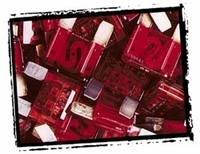 The best use only the best... Painless. therefore Painless with their award winning reputation is our first choice for a quality and worry free restoration harness. Our two Painless kits are of restoration quality with the same components used to restore classic cars and hot rods for decades. 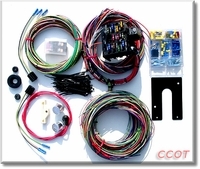 Below are our Painless "Universal Wiring Kits" which are made of the highest quality components that install on stock FJ40s as well as V-8 Conversions. Wiring harness is 24 feet in length. refunds on Wiring Harness Kits. Sorry, but there are no returns or refunds on Wiring Harness Kits. Click to visit "Braided Wire Wrap Page"